Ivey leads project teams to bring complex concepts to life. 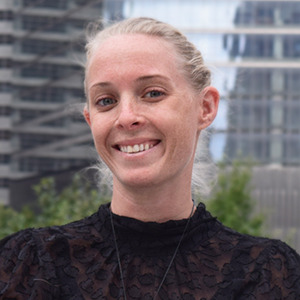 As a producer and project manager she believes that the heart of the role is asking questions and proactive listening as each team, project and challenge is unique. She works collaboratively with client and partner teams across many different industries including financial services, fashion, sports, food and beverage, non-profit and technology and media. Her understanding of usability and user interface design allows her to create meaningful campaigns across a variety of industries. She has studied programming languages, cognition and neurology to gain a wide understanding of how users interact with and view the web. In her free time, Ivey is hopelessly trying to learn juggling, and she plans to start taking violin lessons soon.